Sports injuries often occur in the foot and ankle, an area where it’s essential to get early treatment and rehabilitation to maintain normal movement and prevent future injuries. Dr. Dustin Hubbard and Dr. Ralph Dixon at Fairbanks Foot and Ankle have extensive experience treating sports injuries. Whether you have a mild sprain or a complex fracture, they work with you every step of the way to be sure you regain optimal strength and can return to peak performance. To learn more about the services they provide, call the office in Fairbanks, Alaska or use online booking to schedule a consultation. 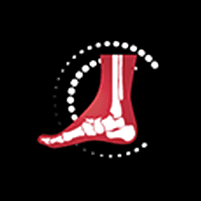 What are the most common foot and ankle sports injuries? Foot and ankle injuries commonly occur in sports activities, whether you’re an occasional participant or a professional athlete, or you play on the school team. Getting early treatment is essential for ensuring you don’t develop complications like chronic ankle instability. What are the symptoms of sports injuries? Foot and ankle specialists like Dr. Hubbard and Dr. Dixon provide comprehensive treatment for sports injuries, including therapies and surgical interventions typically associated with orthopedic care. The doctors at Fairbanks Foot and Ankle treat all types of sports injuries, but some of the most common include those that occur in runners and hockey players. Runners are susceptible to heel pain, Achilles tendonitis, and stress fractures, while hockey players often develop ankle sprains, tendon injuries, and fractures. Your treatment plan depends on the type and severity of your injury. Treatment options range from heat, cold, resting your foot, and adjusting your activities, to custom orthotics, bracing, taping, casting, and steroid injections. When your injury doesn’t respond to conservative treatment, or you have a fracture or torn ligaments and tendons, you may need surgery to remove inflamed tissues and repair damage. What is the role of rehabilitation in sports injuries? Nothing is more important than participating in rehabilitation after a foot or ankle injury. You need customized physical therapy and exercise plans to rebuild strength, regain optimal mobility, and prevent chronic instability. Many patients, especially those participating in competitive sports, benefit from an evaluation of gait mechanics, followed by appropriate rehabilitation and use of orthotics to ensure normal foot and ankle movement. Your foot and ankle must be appropriately balanced to prevent future injuries in your feet, legs, and hips. To receive expert care and rehabilitation of your sports injury, call Fairbanks Foot and Ankle or book an appointment online. Gunshot wounds of the foot/ankle.